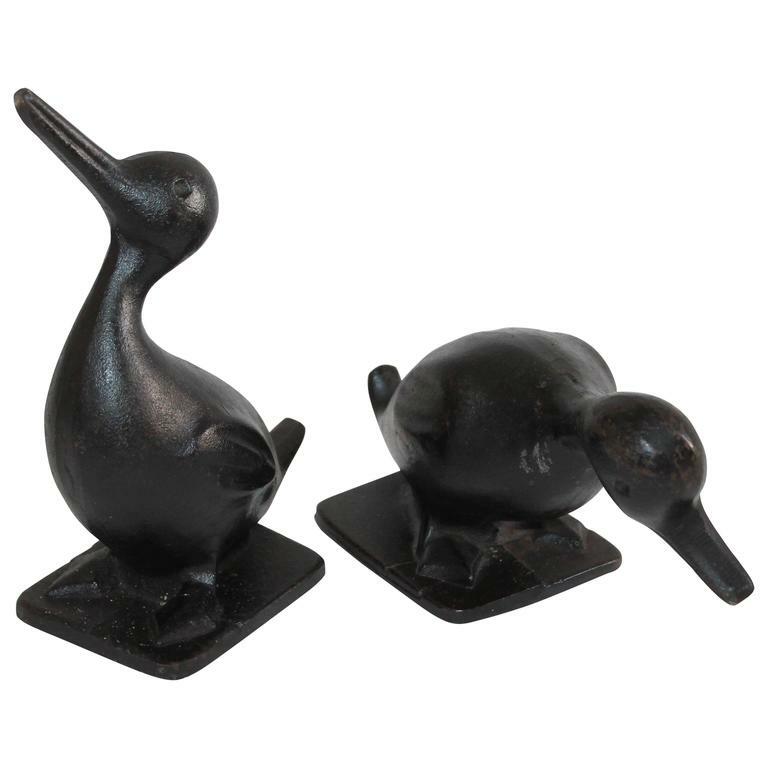 These fun and folky original black painted cast iron duck door stops are in great as found condition. These guys are very heavy. Great as a pair. 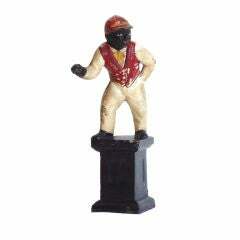 This 19th century and dog original painted Hubley cast iron door stop. This guy is in great condition and weighs a ton! 19th century original painted momma pig and baby pigs cast iron doorstop. Possibly a Hubley. Its unsigned. This original white painted cast iron dove is either a door stop or garden ornament. The condition is good with oxidation and patina. Sheet or feather and volute decoration, Feather like it was arrow 8 hooks to hang up the meat and leave dry it France, Pyrenees. American, circa 1890. Cold painted metal face fixed to a cast plaque, applied to a incised quarter-sawn oak wedge. Measure: 4.13" x 3" x 2.5". Original painted surface and varnish. Wrought iron structure rests double feet with openwork forming lozenge decoration Leather rope to drive the wheels From France.